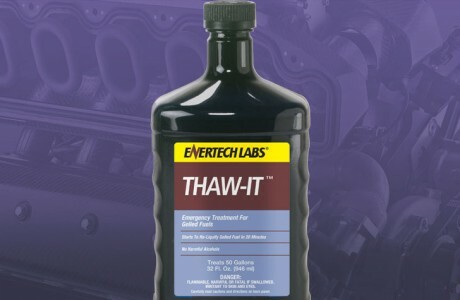 Ultimate Hi-Tech Fuel Additive with Anti-Gel, Cetane Improver, Lubricity Additive, Water Remover, Corrosion Inhibitors, Anti-Oxidants, and Fuel System Cleaners. Using CFT – Complete Fuel Treatment can actually save you money. Why spend the extra money for blended fuel (#1D or Kerosene blended with #2D) when CFT can do more for less. Blended fuel is both expensive and counterproductive. Number 1D fuel and or Kerosene has significantly less BTU’s per gallon* than does straight #2D fuel. So using these products gives you less energy per gallon. #1D and or Kerosene are more expensive than #2D. Treatment ratio is 1:1000 which equals 32 oz. per 250 gallons, or 1 gallon per 1000 gallons of fuel. First time users can use a ratio of 1:500 which is 32 oz. per 125 gallons, or 1 gallon per 500 gallons of fuel to further lower CFPP and PP and to speed the cleaning process. When operating in extreme conditions, i.e. extreme cold, marine, high humidity, poor quality fuel, it is acceptable to use 32 oz. per 125 gallons (1:500) on a regular basis. Just thought I would let you know the success I have been having since using your Complete Fuel Treatment. I have been using this in my 6.0 Itr. Ford vehicles and have not had any soot related issues with them. Before using your treatment I had tried several different fuel additives but with very limited success. Managing a fleet of 100 emergency vehicles down time is paramount, and your product has helped me meet the ever demanding needs of our business. Complete will now be our only fuel treatment used in our entire fleet. Thanks for making such good and progressive product. 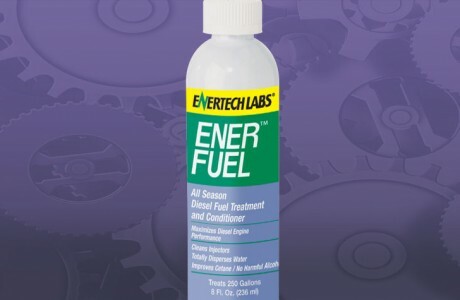 Red Bull Race Team has been using Complete Fuel Treatment from Enertech labs in our diesel trucks for thousands of miles. Since using your product our drivers are reporting that their trucks are starting easier, running smoother and have more power. Thanks for making a product that works and that helps our trucks run better. 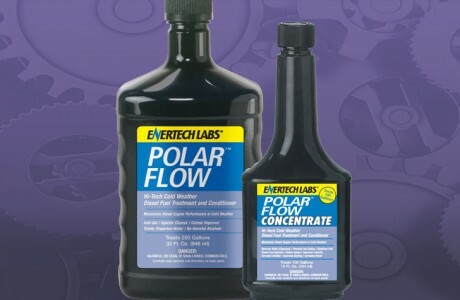 I was trying to find the Canadian distributer of enertech labs complete fuel treatment concentrate in Winnipeg, Manitoba. I was given a bottle to try and lost the card. This product is amazing, hardly any smoke in my dodge/Cummings diesel on hard acceleration and more power and most of all large decrease in fuel consumption, I want more…. Please help…..
Eric manages a fleet of ambulances for Rural Metro and was plagued by EGR coking issues on his 6.0L Ford busses. His problem has subsided since treating his fuel with Complete Fuel Treatment. Eric commented that their inventory on EGR’s has gone from 6 on the shelf to 1 only for a backup. Ken has used Complete Fuel Treatment year round with great success. The fuel buyer for their group commented that Ken’s division (40 Kenworth Trucks) is the only division that has not called with a complaint concerning the fuel quality. He is also the only location that does not order ULSD Kerosene in the winter for cold weather protection. Ken uses Complete Fuel Treatment and straight #2 ULSD and has not had a gelling or freezing issue. 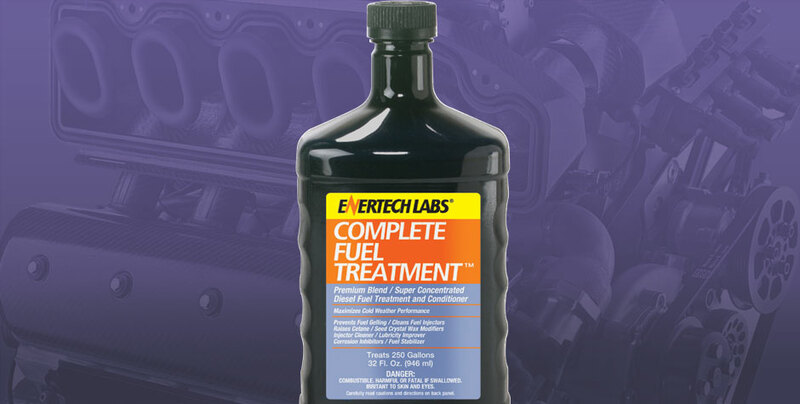 I’ve been using Enertech Complete Fuel Treatment for about two years now and thought I’d let you in on the results I’ve been experiencing using Enertech. I’ve been buying it from the Hunter Trucking location in Clearfield PA. To start i added one 32 oz bottle of Enertech to each of my 125 gal fuel tanks. First thing I noticed was my 3402e engine smoothed right out at idle. 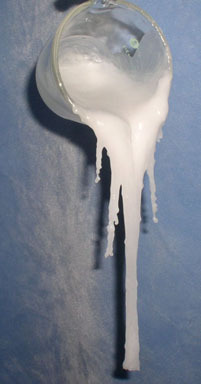 Must have really needed Enertech’s lubricating quality’s. 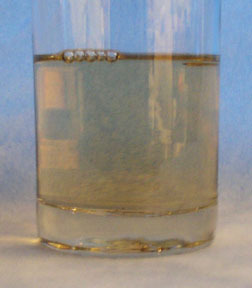 Water in fuel has been completely dispersed without clogging fuel filters. I live in PA and we see below zero temps frequently, haven’t had to use any other fuel anti-gel additives. Ah yes, Cetane booster you can actually feel in the seat of your pants rollin down the road! Appears to have picked up .2 mpg on average. ”This stuff flat out works” Actually does everything it claims to do at an affordable price. I’ve recommended Enertech to other owner operators and they are seeing similar results. Thanks for a great american made product! My customers were changing fuel filters t 2,000-3,000 miles on a regular basis until they started treating with Complete Fuel Treatment, Now after using Complete with every fuel fill they are able to reach the normal 10,000 miles before needing to change filters. My customers use CFT (Complete Fuel Treatment) year round. I started experiencing a fuel problem with my Western Star Tri Axle dump truck. The fuel filters were plugging every 4,500-5,000 miles causing my engine to run poorly. A distributor of yours recommended that I try Complete Fuel Treatment to see if the problem could be resolved. I have treated my fuel every time I fill up and found that the fuel filter issue is gone. I am back to my normal mileage between filter changes. There is an additional Bonus, I used to continually have to drain water from my separator and now there is no water present. I never have water – Its no longer an issue. I use Complete Fuel Treatment in my diesel engines at my rental shop, and it has since eliminated the service calls to replace inline filters, and by doing so, it has saved my branch money on purchasing inline filters, and downtime on equipment. My 2014 Dodge 3500HD work truck with a Cummins engine was experiencing a check engine light for a couple weeks, and after adding CFT the light turned off, and has remained off. I also noticed an increase in power, and overall better MPG. I had originally ordered Complete Fuel Treatment to solve my water issues, and constant changing of filters. After resolving those issues, I started to notice that my equipment was running smoother, and that I had also eliminated Regens as well. I use CFT in every fuel fill, and me and my team have witnessed a huge reduction in Regens in our new Tier 4 equipment. I like to use Complete Fuel Treatment in my diesel burning heaters to ensure that they work even after sitting for a year at a time. It keeps the fuel from growing bacteria and algae because it removes water. It also keeps my fuel fresh because it stabilizes it for up to 2 years, which is great in my industry, because sometimes I store equipment away for more than 1.5 years! I treat my diesel bulk tank with Complete Fuel Treatment, and have since seen no fuel related issues at my branch, I also notice a dramatic reduction in active regens, and the growth of algae and bacteria in my diesel tanks which saves me a lot of time and headaches. I was having algae, and water issues in my bulk tank, and after using an algae remover, and doubling the dosage of Complete Fuel Treatment, my tank is now clean, and has remained clean ever since. I no longer have to use an algae remover, or double the dosage. I treat the proper amount during every fuel fill, and my tanks, and equipment are all operating much smoother. 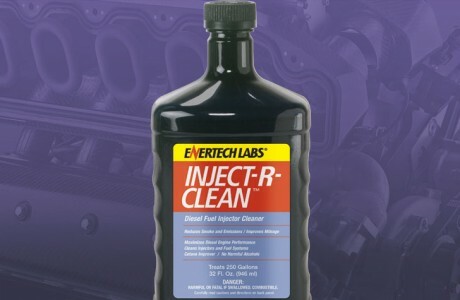 I had a customer with a Wacker Generator that was producing black smoke, so I treated with Complete Fuel Treatment and with the combination of injector cleaner, and clean burn technology in this product, it cleared the black smoke. My customer told me that his generator has never run smoother, or quieter since he purchased it!